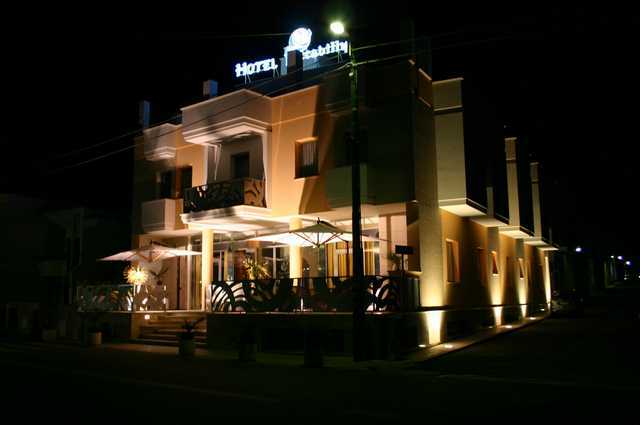 Superbly located and steps from the sea, this hotel is ideal for visiting one of the most beautiful area of Italy, Salento. 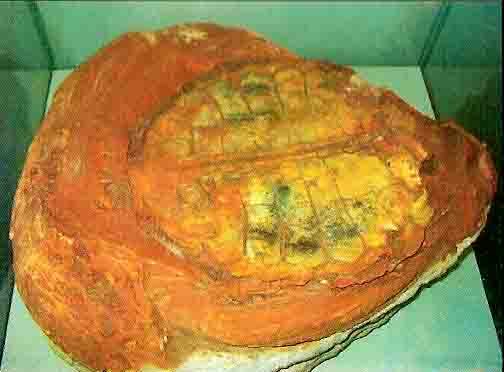 You will appreciate from this location the ease of getting around, whatever your interest. Most of all you will enjoy the warm and friendly welcome everytime. All the rooms have bathroom ensuite, mini-fridge, tv. 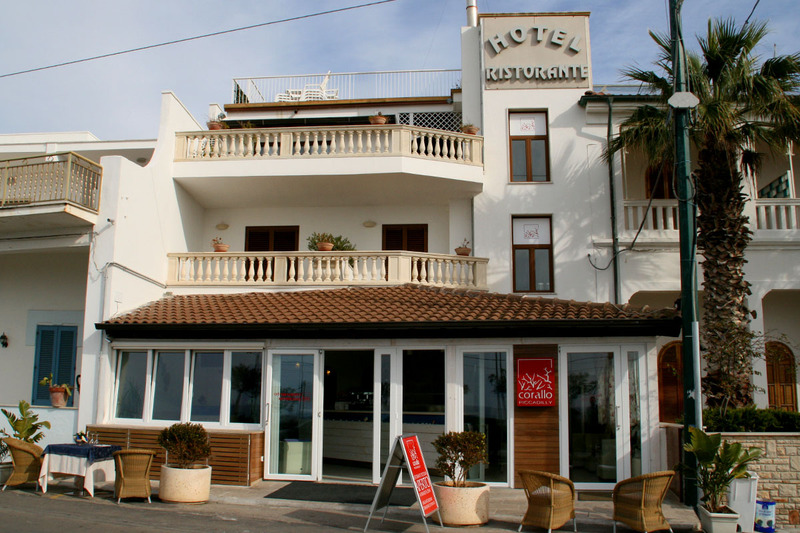 At the ground floor of the Corallo Hotel is set the restaurant where you can taste the local fish specialities and drink all the best red, rosè and white wine of the area.B&B prices from only Euros 40,00 single room and Euros 60,00 double room. Special rates during the low season for half and full board. 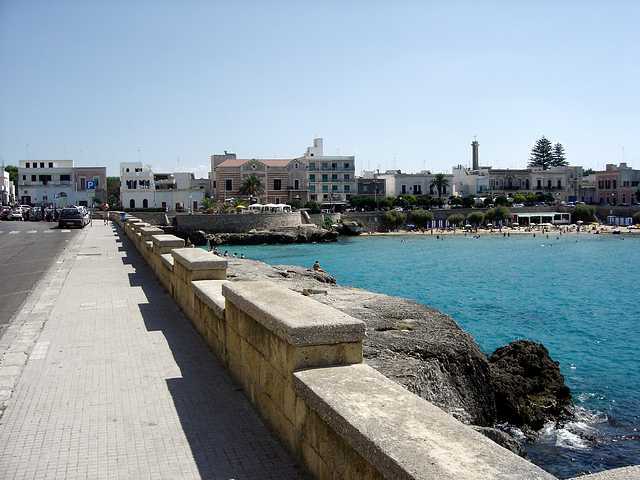 BRITISH AIRWAYS flies in summertime directly from London Gatwick to Bari (BRI). You can also fly from London (Heathrow and Gatwick) to Milan (Malpensa or Linate) or to Rome (Fiumicino) at any time and continue your journey to Brindisi (BDS) with Italian airlines. 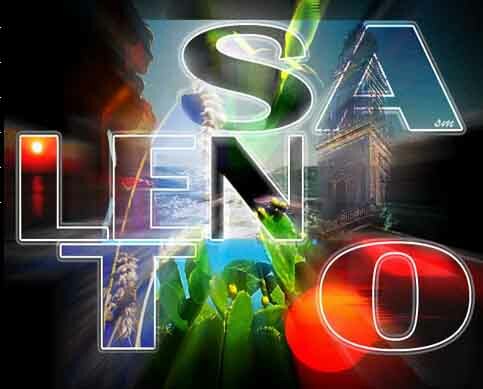 ALITALIA flies from London Heathrow to Brindisi with stop over in Rome or Milan. Check for your flight on Opodo! 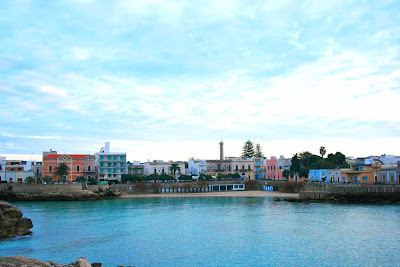 You can travel from UK by Eurostar through the Channel to Paris (about 3 hours) and there to Italy, precisely to Lecce, where you can easily get a local train, bus or a taxi to reach Nardò. The suggested route is Artesia (Paris, Lyon, Turin, Milan and Rome) which connects London-Paris to Italy. You may also decide to travel in the night with the Artesia France-Italy night service, directly to Rome (Termini) in 15 hours or during the day with the France-Italy Artesia day and being in Milan in less than 5 hours from Lyon. We also suggest to visit www.trenitalia.com to reach the final destination, Lecce, which can be reached either from Rome or Milan. Travelling by train could be a tremendous opportunity to see numerous places in once. Travelling by car could be a fantastic opportunity for those who want to be free to choose their own route, from the slower, panoramic roads to the faster motorway. Obviously, we recommend to pay a lot of attention, double-check your route before you travel and to consider time for possible delays and breaks. We suggest to visit www.viamichelin.com which uses exclusive mapping covering 40 European countries from road maps to detailed plans. Moreover, it is regularly updated and its database contains 7 millions kilometres of roads and streets. 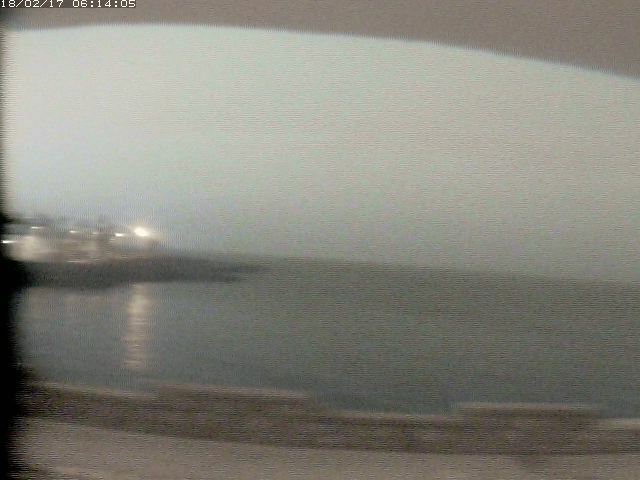 It also offers information on the weather, traffic, service stations, etc..
Nardò; Colours, Sounds and Nature! 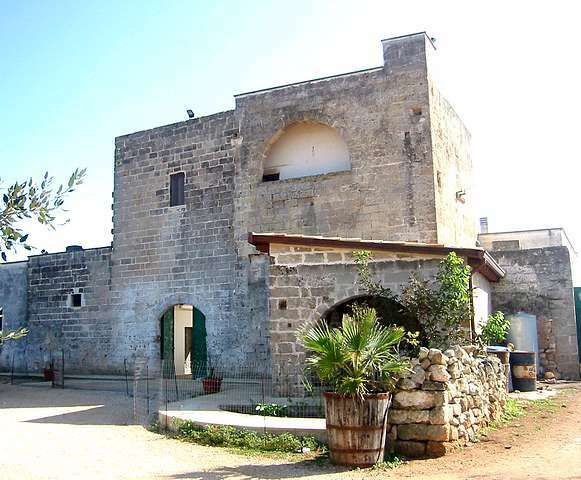 Professional and reliable real estate agency operating in Puglia, SIS has a wide range of properties for sale and low cost holiday rental accommodation in this up and coming area of Italy, Salento, Puglia. 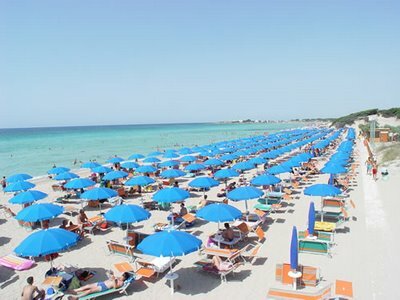 In the national rank of the beautiest and purest beaches of Italy, published by Legambiente in the Blue Guide, Nardò and its villages on the Ionian sea are in the sixth place. 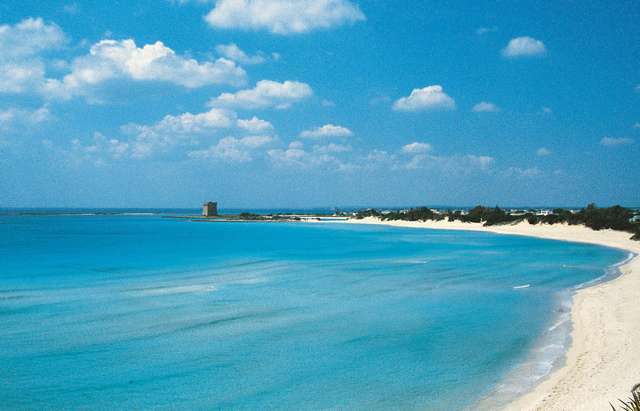 The blue guide is the most important guide about the best holiday resort and beaches in Italy. 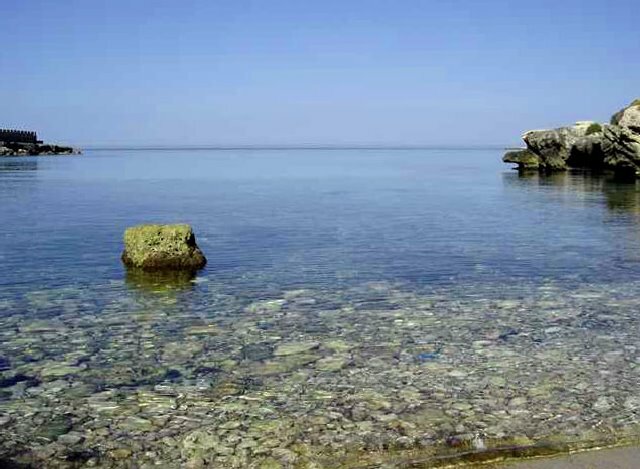 Santa Maria al Bagno, Santa Caterina, Sant'Isidoro, Torre Inserraglio, Torre Uluzzo and Portoselvaggio for Legambiente, italian green association, are within the best places in Italy where to spend the holiday and enjoy the unspoilt nature. 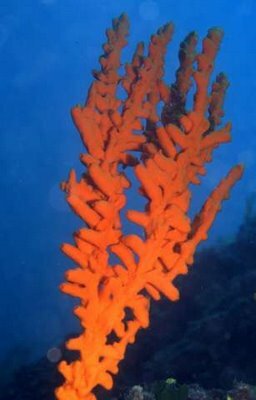 Particularly important the regional wildlife reserve "Portoselvaggio", famous natural park with 300 hectars of pinewood forest and 7 kilometres of high and unpolluted coasts. 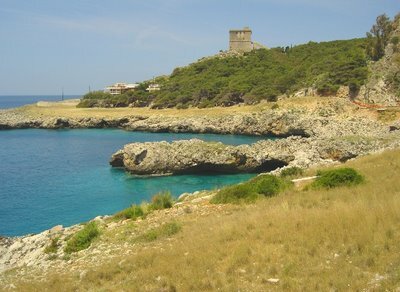 Portoselvaggio is one of the main green lungs in the province of Lecce. 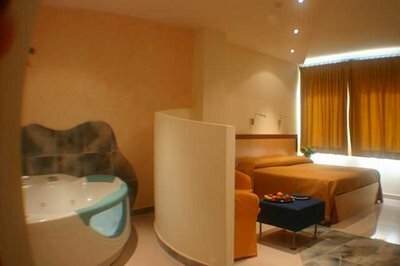 This blog is the finalised version offering a wide variety of useful links and contact information on tourist facilities in Nardò and the surrounding area. 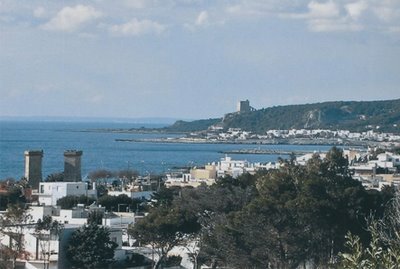 The locality boasts holiday resorts, tour operators, real estate agencies, hotels, B&B’s, restaurants and pizzerias, bars and cafes, disco clubs, excursion points, family entertainment, culture, healthy eating outlets and wine producers with this magical baroque Puglian town as the centre for your visit. 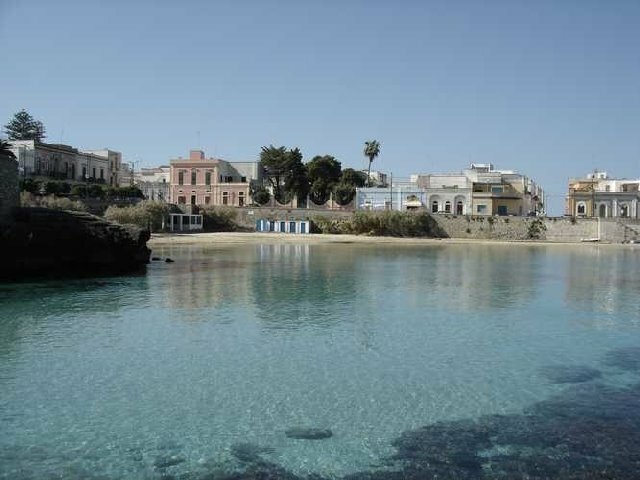 On the west coast of the Salentinian Peninsula, in one of the most beautiful and unspoilt places in Puglia. Next to Portoselvaggio Natural Park, Torre Inserraglio holiday resort extends along the wonderful Ionian coast, between Porto Cesareo and Gallipoli. It is the ideal destination for a comfortable and relaxing holiday. 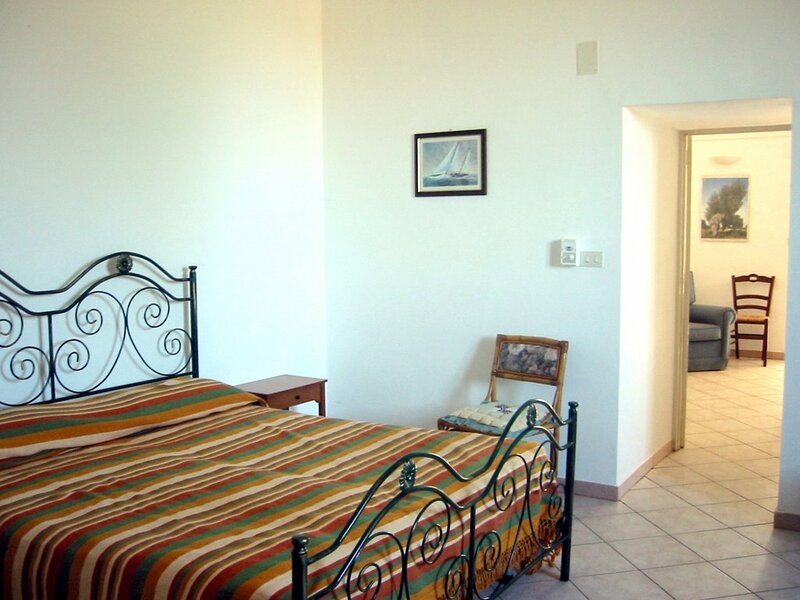 Torre Inserraglio has a variety of holiday accommodation including mini-villas and apartments; all with private bathing facilities from wooden platforms on the rocky beaches, and additionally a SPA beauty centre, bars, restaurants, swimming-pools and sport facilities. 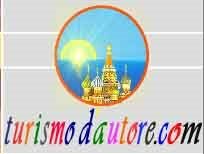 Turismodautore.com is ideally setup to service it’s client base mainly on internet. 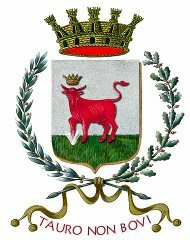 However, although it is a global organisation in fact it’s headquarters are based in Nardo, with subsidiary offices in Milan and Saint Petersburg. It promotes all-year-round creative holiday packages catering for week-ends, mini-breaks, gap years, honeymoons, accompanied excursions and cruises. The MPA Porto Cesareo offers tourists the opportunity to observe closely a protected environment, with more than 10 different habitats. Its clear water offer not only the possibility of exceptional scuba diving experiences, but also snorkelling and excursions in transparent-bottom boats offer unforgettable experiences. 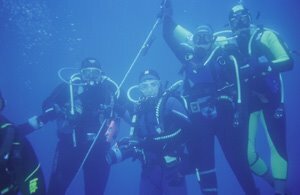 A number of activities, of different difficulty levels, are available: assisted scuba diving tours, snorkeling, tourist fishing, boat tours. 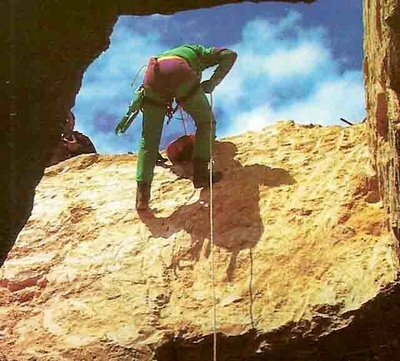 Caving, prehistorical studies and geological excursions... these are the main activities of Neretino Speleological Team. This team examines the geology and ecology of caves in Salento area and also teaches safe methods of cave exploration. 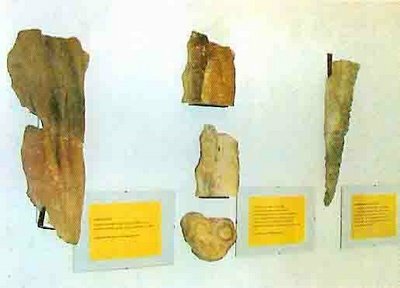 Moreover it run a Museum where are collected images and pieces from around Salento and the Natural Park of Portoselvaggio. Experience the Bleu Ionian Sea… Costa del Sud has a professional staff ready to assist you in all the diving activities. 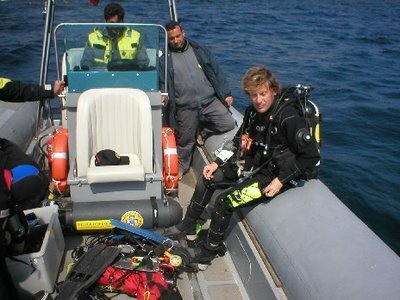 It arrange tourist sea excursions, scuba courses, research e video/photo services. It also provides accommodation in this area for all the sea passionates. Santa Rita Village - Fin Service & Immobili s.r.l. 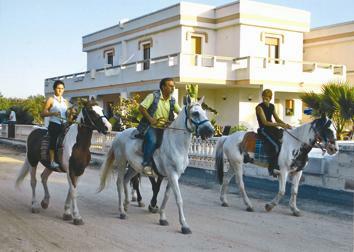 This village offers different kind of holiday rentals and properties for sale. 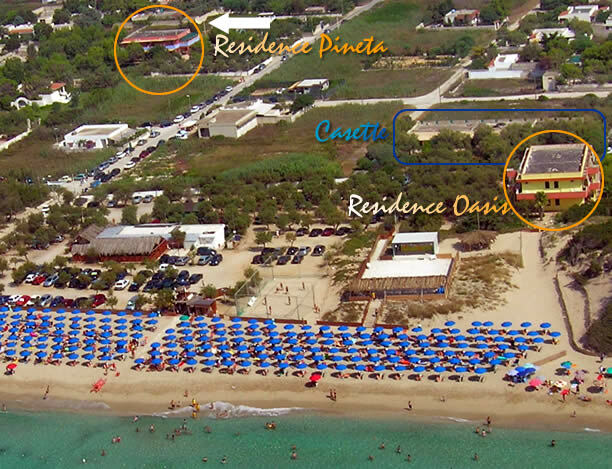 It boasts a good quality tourist services in a panoramic area, art gallery, bar, shops, restaurant, pizzeria and a great range of activities for your freetime: swimmingpool, beauty centre and equitation courses. 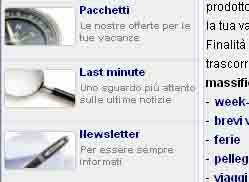 Fin Service and Immobili s.r.l. 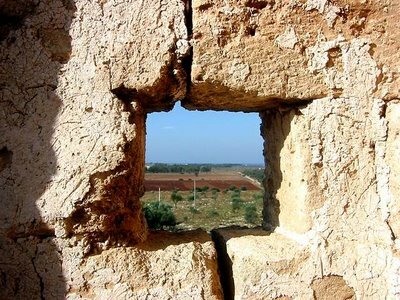 also, build your holiday dream home by the sea in the heart of the Apulian unspoilt nature. 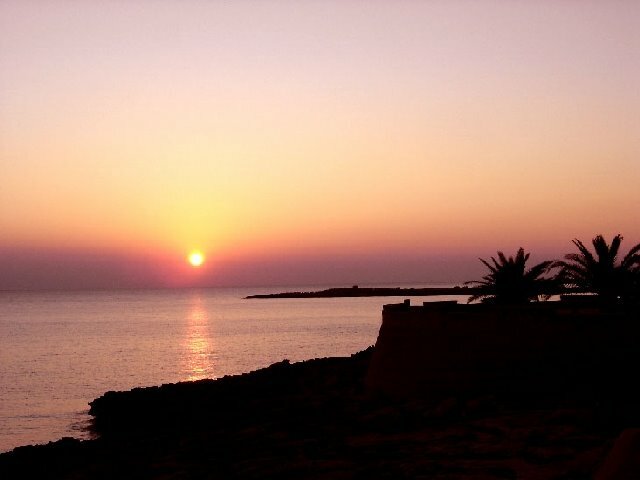 Dipped in a natural park, a charming and exotic place surrounded by marine forest and sea. 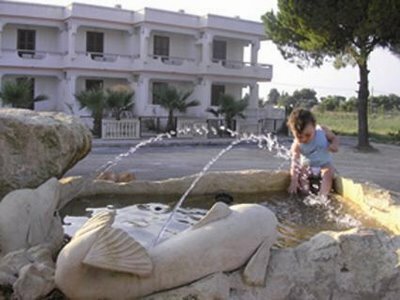 It is an ideal tourist village for families that wish to spend their holiday enjoying relax and sea. 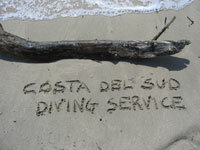 It has a great animation staff, fully-licensed bar, sport facilities and a self-service restaurant. Sun, stones, olive-trees, silence added to the sea breeze and the scent of the mediterranean bush: this is the Mórige, a wonderful place near Lecce, 2 km from the coast and 8 km from Gallipoli. You can spend your days here relaxing yourself or assisting the production process of our organic extra-virgin olive oil. Nature, sea and good food... some good reason to stay in this typical farmhouse experiencing this land plenty of green paths, baroque monuments and a crystalline sea. 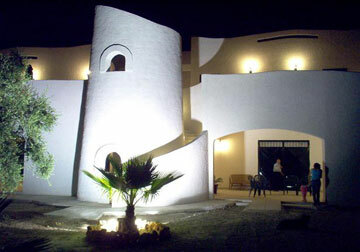 Masseria Vico also produces fresh cheeses, mozzarellas and organic fruit and vegetables. Here relax and quiet will live with you. Fabulous XIX-century fortified farmhouse over 20 ha of land with olive groves completely restored and ready to offer a wide range of tourist services in the typical Apulia style. 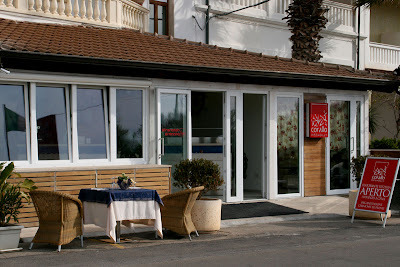 If you are looking for a traditional dinner, a natural place to stay or a bed in the countryside next to the sea, this is the right place! 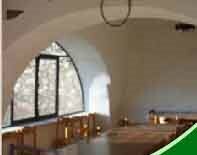 Area camper, sport facilities, natural and cultural itineraries, accommodation and food tasting are waiting for you. Just 2 ½ hours from London’s Stanstead Airport, you will discover a land of extraordinary colours starting from the rich red earth, the silvery green of the olive trees and the lush green of the vineyards, contrasting with the whiteness of the local rocks and stone and pink villas, all set against the exquisite backdrop of the Mediterranean, pale turquoise by day changing, with the intensity of an orange sunset, into a deepest blue. This is a very antique land, rich in history and culture together with a vast natural landscape offering miles of beaches and crystal clear waters set in a Mediterranean heritage offering, cathedrals monuments and grand buildings in the Baroque style, fortified towers, archaeological sites, enclosed feudal farmhouses and every type of villa from opulent palaces to modest family dwellings. Experience all of this! All the year round! Yes, the climate is always mild and here the sun shines almost every day. 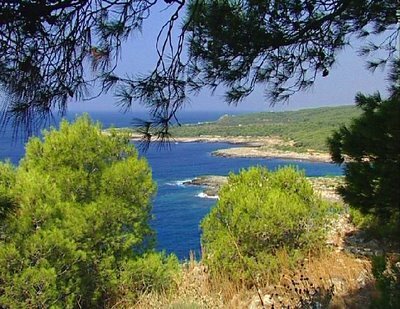 Apart from swimming and beach life, you may chose to maybe explore the “Natural Park of Portoselvaggio” famous for it’s Macchia Mediterranea, the natural occurring scrubland of low trees and bushes made up from aromatic myrtle, jasmine, rosemary, thyme and broom and many other species. Or you may prefer to go shopping in Nardo and other towns in the area. 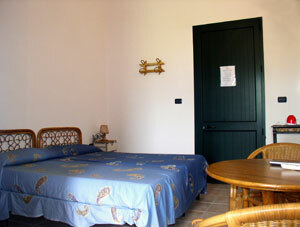 Prices locally are amongst the lowest in Italy offering excellent value for money. 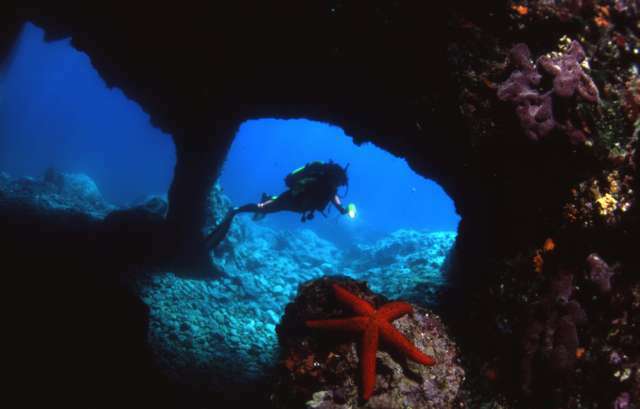 As if that were not enough, during your stay there are numerous diversions open to all ages, such as; boating, scuba diving, mountain biking, fishing, cave explorations, etc. Or you can simply relax and indulge an appetite for healthy eating with our nutritious Mediterranean cuisine. Discover our regional specialities, just-caught fish, acclaimed local wines, our locally produced olive oil, our tempting dessert dishes, liqueurs and more. For those who want music, come and lose yourself in Pizzica, a fast and exciting rhythm using tambourine, accordion and violin, or prepare to dance till dawn in one of our cool disco clubs or under the stars with numerous live music events. Experience the warmth of the welcoming people of Puglia... Go to Nardò! 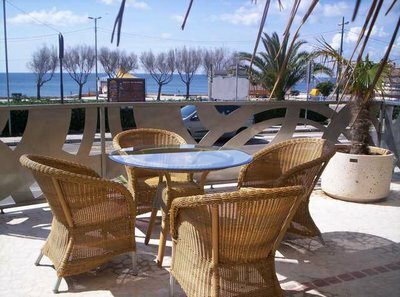 Brindisi (BDS) is the nearest airport and Ryanair flies directly from London Stansted on Tuesday, Thursday and Saturday. Check for a low-cost flight on www.ryanair.com and click on Aeroporti di Puglia website to get more information about the airport facilities.